If you’re using WordPress to power a simple site, like a single landing page for your brand, business, or organization, you may wish to disable the platform’s search feature. You can do so using the Disable Search plugin. This plugin prevents the search form appearing in most WordPress themes and disables the search sidebar widget. Note that the plugin only disables search from the front-end of your site. Back-end search features in the WordPress admin dashboard are unaffected. Log into the WordPress admin dashboard and select Plugins > Add New from the sidebar. Search for the Disable Search plugin, then install and activate. Once activated, the plugin disables search features immediately – there are no settings to configure. If you wish to reinstate the search feature, simply deactivate the plugin. For this method, you will need to add the following code to your theme’s functions.php file. You can also add this to a site-specific plugin. The code will redirect all search queries, direct or indirect, to a 404 page. 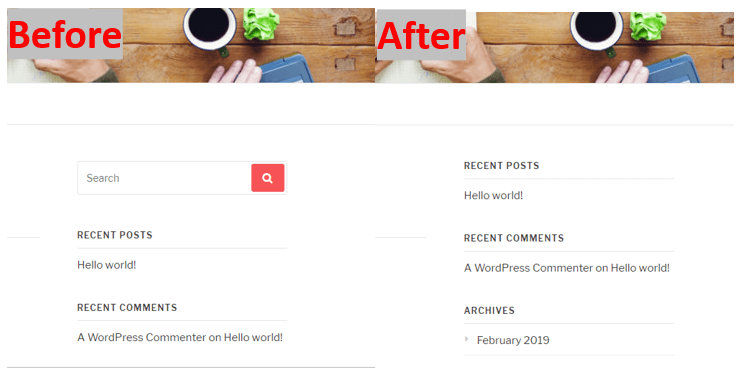 The search form in your WordPress theme will be hidden as well.